This Week Southeast Texas Crime Stoppers needs your help locating a fugitive. 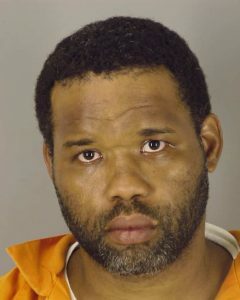 September 1, 2015, a robbery warrant was issued for Damond Lewis, 39 year old Beaumont man. Damond is one of two suspects that committed a robbery of an individual at the Speedy Stop in the 600 block of Gulfway Dr in August of 2014. The investigation revealed that Damond Lewis ( who is known on the street as PUFFY) and another individual, robbed a subject of his personal property. Lewis is 5’10, 220lbs, has salt and pepper colored hair and has tattoos on his right breast, left inner forearm, back of his left hand and other locations. If you know where we can locate Damond Lewis, contact Southeast Texas Crime Stoppers at 409-833-TIPS or download our P3 tips app. All tips are anonymous and you could be eligible for a cash reward.